You can find me at Vision & Verb today. Talking about the girl in this picture. 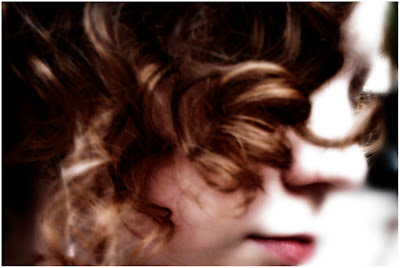 What a beautiful picture you took of her, those curls, almost 13... you captured it all so wonderfully :) Through tears I read what you wrote about her, which reminded me of Samantha. The love is overflowing, the love you have for her. Sadly, I'm not an aunt, is this what it feels like?What you have with her feels blessed! Beautiful photo, and your words there equally so. can't wait to go see what it's about. but first, i have to catch up here. She's still got those delicious curls.